Verefina Natural Holiday Scents are Back! Verefina All Natural Holiday Products are Baaaaaaacccck! The Holidays are just around the corner and let's get shopping now. I'm so excited to share Verefina's all natural Holiday scents with you. Don't you love the traditions of the holidays, the family gatherings, the warmth and spices of the food? What a perfect way to warm up your holidays and homes with these holiday scents. 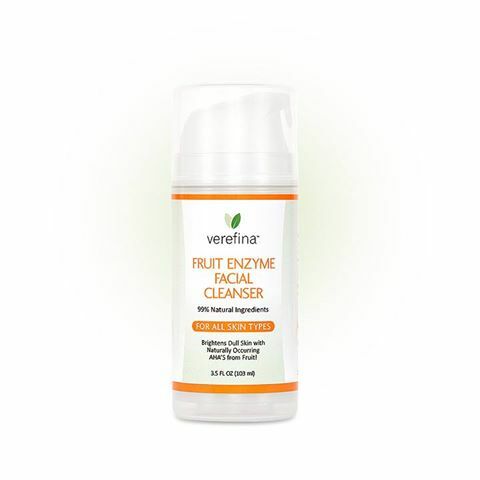 contains100% therapeutic-grade essential oils of orange sweet, clove bud, and cinnamon bark. without worrying about burning toxins from candles or air fresheners. Note: This is last year's popular "Spiced Orange" blend! 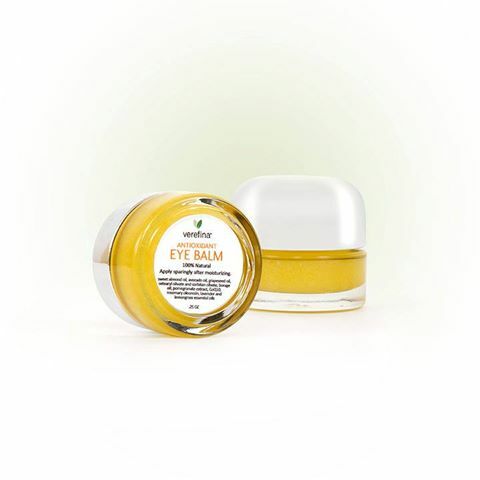 contains100% therapeutic-grade essential oils of fir needle, and black spruce. We are pleased to offer reduced shipping as part of our Holiday Traditions Promotion. Pay only $5 for orders up to $300 and $10 for orders over $300! All orders shipping to Alaska, Hawaii, or other U.S. Territories will add $5.00. Happy Shopping and all orders placed on my website will get a "thank you" gift from me (not company sponsored). Are Direct Sales Network Marketing Skin Care Products Overpriced? I know plenty of people that gripe about how expensive skin care products are from network marketing companies. There's a perception that it's overpriced. I would agree there are high end skin care products but not all of them are overpriced. Because network marketing is lumped in with direct sales and party plan it gets confusing for people who are not in this business. This article is to highlight the differences in price points and that direct sales/party plan products are not necessarily overpriced and compete with regular retail brands, often for less. First, what's overpriced? Price points is relative to the buyer, wouldn't you agree? I made this comment on a blog regarding an organic company. Although I like a lot of what they stand for but I didn't find the products I've used justified the price points. For me, I didn't see the value which is only my personal opinion because skin care is so personal and different for each person. Whether a product is overpriced or not is relative to the VALUE the customer gets from the products. People will spend money on a product or service if they deem to be of value. For me, I might have a problem spending $90 on a 1.5 oz jar of cream or $300 on a skin care set but others might not. Price is relative to what we deem important or desirable, isn't it? On the other hand, I don't have a problem spending twice the amount for organic chicken, grass-fed beef, and stocking my pantry and fridge with as many organic products and produce as possible. There's more value to me in the quality of food I'm eating. For direct sales and network marketing consultants, the value is in the business opportunity and the products. Since these reps are product users first and foremost it's easy to buy into the value of your company's products. You can't sell something if you're not a customer yourself. So the value is in the opportunity AND the products. When you're not a rep, it's a lot easier to separate the two, but for consultants the products and opportunity go hand in hand therefore most wouldn't think their products are overpriced. If you worry about whether your company's products are overpriced or not is to look at the number of actual customers and not necessarily team members. On the surface, it's easy to look at skin care products from a network marketing and direct sales company and think these companies are all overpriced but many of them are not. 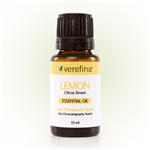 There are quality products from direct sales/party plan skin care companies such as Lemongrass Spa or Verefina at great prices that compete with regular retail brands and they're packed with good ingredients instead of laden with chemicals commonly found in regular retail stores. As a top leader for Verefina since they first launched in 2012, I've seen so many transformations and this is one of the most exciting moments for me, because sharing Verefina's truly pure, natural, and clean products go beyond the business. These are products we use as a family but products I feel good to share with others knowing that these are high quality natural beauty and wellness products at real price points that people can afford. It doesn't make you feel bad for recommending products knowing it's going to put a dent in someone's budget. Healthy, natural products are not overpriced and it has little to do with the labels of "natural" or certified "organic" but the quality and what's really lurking in the ingredients. That's where you, as a consumer, should be paying your attention to is what's in the ingredients of your products. With that, I'm so excited that Verefina's products have been rated and is now on the Cosmetics Database so you can feel good knowing that you're using the safest and the most natural products for you and your family at affordable prices. The Verefina story started when our founder, Jennifer Lugo, was introduced to EWG’s Skin Deep Cosmetics Database. The Cosmetics Database was created by a third-party consumer awareness group that rates over 74,000 health and beauty products for safety on a hazard scale of 0 to 10, with 10 being the most toxic! Although Verefina products have not been searchable, we have always encouraged customers to use this database to see how their favorite (non-Verefina) products rate so they can make smarter choices. For the last year we have been working to have our products included in this database. We finally received notification that our products have been formally rated and included in Skin Deep’s Cosmetics Database! 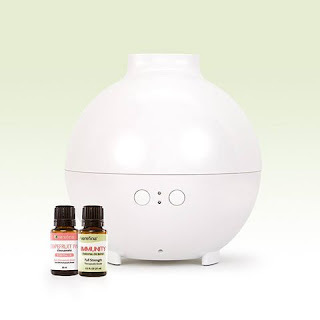 New products include Diffuser, catalogs, and lots of exciting products to come. I can't wait to share our wonderful products with you. Are there are differences between an organic skin care home business vs natural? Some people join an organic company because they think it's safer or better and that's far from the truth. In this post, I'm busting the myths of organic products so you'll know what's the real deal. First, understanding what does it really mean to be organic or certified organic? And what does it mean to be natural? The truth is, natural ingredients are organic ingredients, the certification part is verification from a third-party that the ingredients are indeed grown organically (see explanation below). There are different organic associations. In the US, it's the USDA Organic which is the highest authority. There's Soil in the UK and one in Australia. To carry the USDA Organic seal, the ingredients must be 95% organic and no synthetic ingredients. Compared to Soil Association, a company can have the organic label with 70% organic and it allows some synthetic chemicals. If you're a company caring the Soil organic label, you're allowed to have synthetic ingredients in the products. What about natural products company? With so many of them how do you know they're really natural. See Toxins to Avoid for more info but your best bet is to look at the ingredients on the products. If you're on the company website, there should be ingredients listed under each product. When I come across an ingredient I'm unfamiliar with, I Google it or search on the EWG.org which lists thousands of ingredients for toxicity levels. The rule of thumb is, less ingredients is better than a long list of ingredients, especially ones that sound scientific. And the top part of the ingredients will tell you how concentrated the products are so you're not wasting money on products that say anti-aging yet the first ingredient is water, follow by glycerin which can be synthetic, and somewhere towards the bottom of the list you see anti-aging ingredients. Unfortunately, misinformed people assume that a certified organic company is safer and maybe even better because it's organic but that's inaccurate. Certified organic ingredients or organic ingredients do not mean it's safer. An irritant is still an irritant. The main reason for this article is because there are misinformed people when it comes to organic products. Organic products as being safer than natural products or even non-natural products is a myth as referenced above. So which business is better for you- organic or natural? The answer isn't in the company itself or whether it's organic or natural but which company resonates most with you based on your interest, lifestyle choices, financial goals, which products work best for you, and so forth. Bottom line is, when it comes to choosing between an organic skin care company to join vs a natural one, it's more than the products, the ingredients, the expensive marketing, or press coverage. Ultimately it's about YOU. Will you be a customer for the company even if you're not doing the business? I've seen many wonderful products but if I'm not willing to buy the products as a retail customer, I would not pursue the business. If you love the products, that's a great start because you have to be a customer first. It doesn't matter if it's organic or natural or something else if you can't sell the products to real customers. Don’t Miss Verefina's Back-To-School Specials! It’s Back-to-School time again. Now that you’ve got them new backpacks and shoes, it’s time to get something that will really help your kids this year. 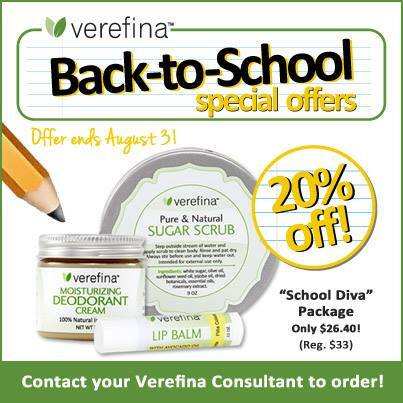 We have two Verefina Back-to-School packages that will get them off to a great start... both for 20% off retail price! The regular price items are already incredibly affordable so you're getting a bargain. Keep your kids healthy and protected with our “Perfect Attendance” package. Our Immunity Roll-On, Mini First Aid Stick, and Lip Balm or Butter make the perfect combination to deal with those cuts and scrapes and keep the sniffles at bay. Only $16.80! (Retail: $21.00) See my Verefina online store for details. Or, help your teen feel special as she heads off for another year of friends and learning. Give her our “School Diva” package and she’ll look and feel great on her first day. With a Sugar Scrub, a Moisturizing Deodorant, and a Lip Balm or Butter, you may even want to get one for yourself and enjoy a relaxing sugar scrub bath once you finally get those kids on the bus. Only $26.40! (Retail $33.00) as pictured above. These packages are only available at these special prices for a limited time available until August 31! There are also discontinued items on my website to make room for NEW items to come. If I may answer any questions on any of the items, please email me and I'll return your email promptly. Every day there are discussions and articles written on the harmful effects of toxins found in personal and skin care products. These discussions bring awareness and continue highlighting the unnecessary harm from knowing or unknowing using products laden with chemicals. It's preventive if only people knew about the toxins. And what I've found is that when people learn about the potential danger, they're likely to switch to natural, safer, healthier products. And these days, safer products are sold in many places. Limit the use of personal care products with fragrances in them (including many of the modern baby care products and air fresheners). Limit use of plastic food storage containers and plastic wraps (certainly do not heat food in them). Read the labels and avoid children's toys made of plastics (vinyl) that contain phthalates. This is just one of the many articles as we learn about the chemicals found in personal care products, skin care, and cleaning products that people use daily. What does this have to do with selling natural/organic products? This is where my passion comes in because my lifestyle is about being as natural and organic as possible. I also love sharing info on toxins and how natural/organic choices can make a huge difference in someone's life. From a business stand point, the natural/organic category is booming. 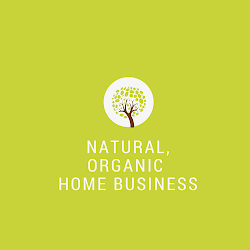 Selling natural and organic products could be a perfect fit if you love natural products and looking for a flexible business that you can easily do from home. The best thing about selling personal care products is that people are already buying these products somewhere so you're not asking people to spend money on something they're not already doing. It's simply a matter of introducing them to your products and re-directing their spending to your business. It's a consumable business so you're more likely to get repeat business on a more regular basis versus a business that sells products that tend to be a one or two time purchase a year. If you love natural/organic products, I invite you to visit my ->Verefina Natural Products business and see how flexible and easy it is to get started. Or email me Janette at campopfan@gmail.com. Customers – Three Ways to Sizzle! Customers also get to sizzle during our celebration! 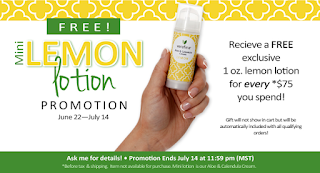 Customers can earn free exclusive products based on their orders’ commissionable sales total. · For all customer orders over $45 placed during Summer Sizzle,† Verefina will automatically include a FREE Rootbeer Lip Balm. · For all customer orders with a commissionable sales of over $90 submitted during Summer Sizzle,† Verefina will include a FREE Rootbeer Lip Balm and a FREE Mini Maraschino Cherry Lotion (1 oz). · For all customer orders with a commissionable sales of over $135 submitted during Summer Sizzle,† Verefina will include a FREE Rootbeer Lip Balm, a FREE Mini Maraschino Cherry Lotion (1 oz), and a FREE Travel Size After Sun Mist (2 oz). †Orders must be submitted between July 15th and Aug 31st (11:59 p.m.) to be eligible for Summer Sizzle gift(s). Here's what you won't see in Verefina's truly natural products. Click to see ->Common Toxins which are found in conventional products and even some natural and organic products but you won't find them in our natural skin care and personal care products. P.S. If you have any questions about this promotion, Verefina's products, or how to start your own natural online store, email me. There are many articles on direct selling/network marketing and why so many love this business. From my experience and the experiences of successful female pals, we love direct selling for women, men and for everyone. Here are just a few reasons why I love direct selling especially for women. Not to single out men because direct selling is great for everyone but this post is on why I think it's great for women using my experience. I can't think of another business or career that gives you the time freedom as a direct selling business. It's better than a traditional business in so many ways. For starters: there are very little risks, if any. With most direct selling/party plan companies- the sign up fee is $99 or less. This typically comes with hundreds of dollars worth of products often around $250 in products. Right there you're getting more products than you're paying for. Even if you decide not to do anything with the business or change your mind- there's no lease agreement you have to worry about or additional fees except for the start up kit fee. But since the kit comes with lots of products, the products are yours to keep. For most companies, the monthly fees are low such as a consultant website. The average I've seen is around $10 per month. Many companies offer a free website. If you're joining to build a business, $10 is hardly expensive when compared to a traditional business with thousands in rent, capital for inventory, hiring help, and so many other business related expenses. A direct selling company takes care of the credit card fees when your customers buy from your consultant website, the company drop ships the products directly to your customers, and at the end of the month you get a cool retail profit from the sales you've earned. Your #1 goal as a direct selling consultant is to promote the business and help spread the word. I can't think of another profitable and simpler business model with such little start up costs with great income potential. I once heard Robert Kiyosaki say network marketing is a great business for the education and free training alone. I couldn't agree more. My personal development and professional skills have enhanced in so many ways it's hard to put into words. Take my Direct Sales Natural Products blog as an example. I started this blog because of my home-based business. I've learned so much about blogging, social media, and internet marketing that I would not have learned if I didn't have this business. On a personal development level, you're taught to be self-motivated in this business, read books, learn new skills, reach out to people which are all valuable skills to have with or without doing a business. These skills will benefit you in your personal life, in your job if you're working, so you can't go wrong with the incredible free training with a direct selling company. The best time I've ever had in this business was with my first company. It was a sorority in a way. We had local meetings together, met up for sushi and cocktails while sharing our business opportunity, we traveled to several company conventions and training, we were always meeting up and chatting on the phone about our business. Looking back, it was one of the best female bonding times I've had! The female bonding is so important to women especially for me as a full-time mom. It's a wonderful outlet to connect with other women away from being mom. These are just some of the reasons why I love my direct selling business. I honestly cannot think of a better career/business choice for a busy mom like me :). P.S. Are you looking for a flexible business that you can easily fit into your busy life and create an income from home? Visit my natural products direct selling business and see if it's right for you. Is Direct Sales Network Marketing Business Good for Women? While researching this topic, I found a few articles on the pros and cons of direct sales and network marketing. There is plenty of negativity when it comes to direct sales and probably more so with network marketing but there's also inaccurate information too. Here's my take on direct selling and if this business is really good for women or not. First, direct sales is not an easy business to stay in for the long haul for most people. It's easy to get started but not easy to stay in it. Why? Because for the most part, people start a direct sales network marketing business without any experience as an entrepreneur. It's called direct sales - emphasis on "sales". It takes some experience to know the nuances of selling, marketing, before a sale takes place. Imagine if you were to get a corporate sales job, you must have some experience otherwise you wouldn't get hired unless as a trainee. In that case, you will be put through rigorous training. Compared to direct sales, anyone can join with or without experience. You can argue that it's not the same thing because direct sales isn't a job but you are essentially an independent sales representative. The difference with direct sales is that it's a volunteer-type-of-business more than a regular business or even a sales job. You're not required to do any training or anything for that matter. Hence, people who join most likely started because a friend introduced them to the products, they fell in love with the products, and decided to give it a try. It's easy to join especially with the low start up fees. Who can resist a $99 start up fee that comes with hundreds of dollars worth of products, right? But the reality is, direct sales or network marketing is only good for women or anyone for that matter, if they get real about what it takes to succeed in this business. Keep in mind that many sign up for various reasons: product discount or sell occasionally but for those that are thinking of direct sales as a business- you'll need to map out your goals and get serious about working your business daily. Bottom line is, direct sales and network marketing can be a wonderful home-based business for women if they're looking for flexibility, to do something from home since they're already home with their children, retired people, or anyone who is looking for a flexible business that can fit into their current lifestyle. The only thing I would caution is to find someone that has experience in the direct selling business and someone that's honest to tell you what's really involved. Unfortunately, there are people who sign people up without telling them everything they need to know such as monthly costs to be a consultant, monthly sales requirements (if any), and so forth. Ask as many questions as possible and reach out to several mentors before deciding on someone. P.S. I love my direct sales business because I can't think of another business or part time job that offers so much flexibility and so much opportunity to earn as much as possible. If you have the drive and commitment, you'll do well with a growing company in the natural beauty products business like mine. It's tempting to spend money on skin care products when you see those before and after pictures or clever marketing that promises a more renewed, youthful skin, or promises to eliminate skin problems such as acne or wrinkles. And the sad fact is that women spend hundreds of dollars on creams, serums, because they want to believe a "miracle in a jar" will reverse the signs of aging. And no matter how many times we hear it, from dermatologists and skin care experts that high end anti aging products only work topically, we still want to believe and will spend the money to give it a try. I'm no different than other women and any product that mentions anti aging or reduces wrinkles will peek my interest. So recently I tried my friend's anti aging night product. The before and after pictures from the company's marketing brochures are impressive! It's hard to resist not trying their samples if you see these testimonials. I'm not saying these pictures are enhanced in any way but your first reaction is: does it work or is it hype? After all, when it comes to skin care products, there are NO regulations with skin care/cosmetics unless it's a drug. After my experiment trying the anti aging product for nearly 2 weeks (only once at night), I did see an improvement after a few days. However, not as good as the before and after pictures in the marketing brochures or shared on the company Facebook page. But I do think the product helped to smooth out my skin after a few days of using it even though the minor lines on my forehead are still there as well as other imperfections. The question is: is there enough value in the product to spend $80 member fee or $110 retail for this one product? It all depends on the person and the value they experienced from using the product. For some people, maybe they saw dramatic differences- enough for them to justify the cost of the product. Remember that people will spend the money when they see the value and benefits from using the products. Women will spend money to solve a skin ailment. In my experience from using high end anti aging skin care products I do think they work however the improvements in my case were minor. On the other hand, I've used products in the $30-$50 range and have experienced similar results and in some cases, actually better. Skin care can be tricky and so personal and I always recommend trying free samples whenever possible and give it a week and play close attention to any changes. A friend of mine who is not in direct sales or network marketing asked me recently what's the difference between anti aging skin care products from direct sales companies vs network marketing companies? For someone unfamiliar with the industry, that's a great question. Although network marketing and party plan companies fall under the direct sales or direct selling umbrella however there are differences among all three. In general, I've found anti aging skin care products from direct sales companies tend to be more affordable than network marketing products. What are the anti aging skin care direct sales companies? The house hold brands which most are familiar with are Avon or Mary Kay. And a few lesser known companies are Lemongrass Spa, Ava Anderson Non Toxic, Daisy Blue Naturals, L'bri, which all offer anti aging skin care products. These anti aging skin care products are competitively priced with regular store brands such as L'Oreal and within most people's budgets. Network marketing anti aging skin care can be more on the higher end. House hold brands such as Nu Skin, Arbonne, Rodan + Fields can cost in the $200+ range and upward. And other brands such as Votre Vu, Nerium, doTERRA can be pricey too. Nerium which is one product and retails at $110. Why are anti aging skin care from direct sales companies tend to be more affordable than network marketing? There are many factors built in such as the costs of marketing, branding, packaging, business expenses, research and development, and paying for distributors. This is true for other high-end retail brands too. Is one better than the other? Not necessarily as "expensive" doesn't mean it's better as skin care is highly marked up because of the marketing that goes into the product. And less expensive doesn't mean people will buy the products either. People buy because of the value and benefits they get from the products. I know plenty of women that will drop hundreds on skin care products if they get the results they're looking for. Bottom line is anti aging skin care from direct sales or network marketing comes down to the value that your customers get from using the products. A true prospect is someone who wants your products and can afford it. Someone might love your products but if they can't afford $200+, they will find an alternative. If you're considering starting a business selling anti aging skin care products with a direct sales company or network marketing, start with you first and if you're willing to be a shopper, with or without the business opportunity attached. If you're not willing to be a customer first, that's a good indication it's not the right company for you. 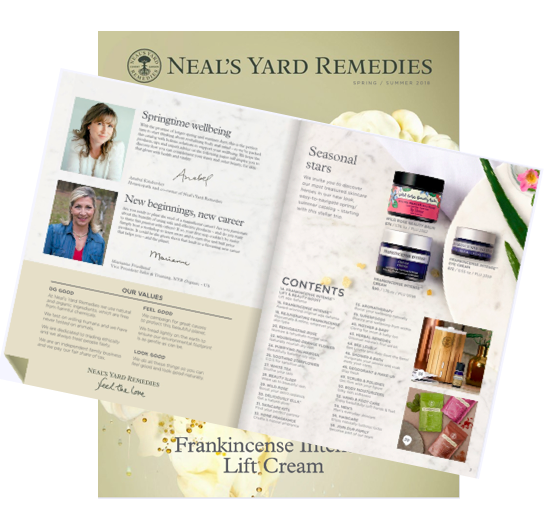 Can You Make Money Selling Organic Skin Care Products from Home? With the natural/organic boom it seems everywhere you shop you'll see skin care products labeled as natural or organic. But no matter how many products you see, these companies don't pay you to shop at their stores. If you're going to use organic skin care products, why not consider buying them from your own business? That's one of the reasons why I started with my home-based business because I'm already using these products. Thousands of people join a direct selling home-based business daily because of the wonderful products but also because this industry offers a viable, flexible home-based business that you can do from home. Every direct selling home-based business involves work. If you're brand new, it's important to know how you'll be compensated. In direct sales: every company pays you a retail profit for selling products. You also earn a discount when you buy products for yourself. I'd much rather save 25% and up to 35% buying from my company rather than somewhere else paying full retail prices. You can expect to earn from 20% retail profit and more depending on company but most companies I've seen on average is around 25%. You'll also earn a commission from your team if you sponsor people to sell the products. This is where it can get tricky especially for brand new consultants. It's important to know not only the percentage you'll earn from your team which can range from 2% and upward. But you'll also need to know what the requirements are before you'll get paid. For example: one organic company pays 5% on anyone you personally recruit and as a consultant you need to have 1 direct team member, $200 in personal volume, and your team volume must have at least $1000. This is one example as every company will be different. The best way to make money from selling organic skin care products is to use your company products. It goes without saying because it would be hard to sell products you don't use or believe in. You have to believe in the benefits so you can share with others. The biggest mistake direct sales consultants make is not marketing their business beyond the people they know. Your first open house or business launch is a great way to introduce your friends to your products which helps to get your business started but you must have a marketing plan in place asap. Use this opportunity to schedule additional parties, ask for referrals, offer incentives, then look for additional ways to market your business. You will have competition and not just from the consultants in the same company but organic products are everywhere. Compete on value and what you can offer to your customers instead of price. Assuming your products are competitively priced to compete with other high quality organic products, you should be able to sell products if you've provided value to your prospect. Whether you'll make money selling organic skin care products or not is not only up to the company you choose but ultimately it's up to you. If your company offers great products, priced competitively, and the compensation plan is generous enough where regular people can move up the ranks sooner than later- you'll have an easier time. I would think twice with compensation plans that have high sales requirements, both personal and team volume, before you can see a commission. The quicker you earn money the more likely you'll stay with the company. You need to consider not only the likelihood of your success but for people you share the business with too. The bottom line is people might join initially because they love the products but for them to stay and build a business- they must see success sooner than later. If the company has been around for years and there are only a few leaders or people "actively" working the business- dig deeper as there could be other factors such as the compensation plan with too many loop holes to advance. P.S. If you love chic, affordable, natural skin care/personal care products and looking for a realistic home-based business that you can build from home and earn money sooner rather than later- visit my Beautycounter Opportunity and join our #1 team. Our team generated $135K sales in April alone and our new company is on the GROW.